This stylishly compact chair will provide the perfect vintage accent to any discerning living space. Its slim tapered, graceful lines are perfectly proportioned and enhanced by luxurious hand tufted buttoning plus attractive pleating to make a real style statement. 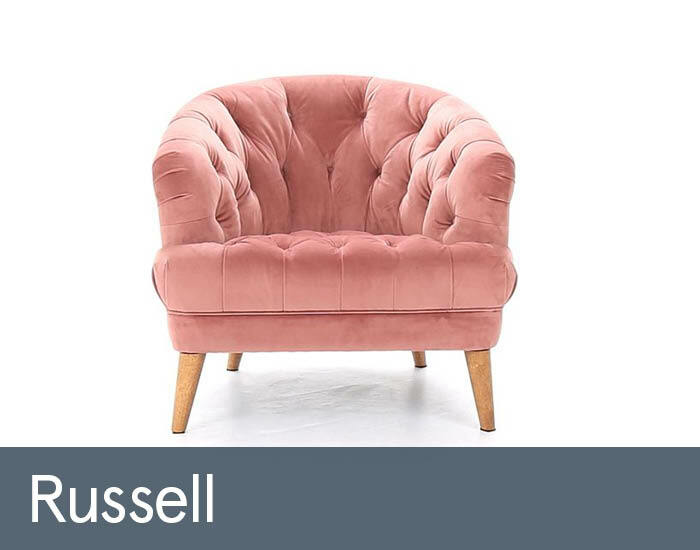 As the ideal complement to a classic heritage chesterfield theme or to add opulence into an on-trend mid-century retro vibe, Russell can also inject colourful flair or maintain a sober tone.